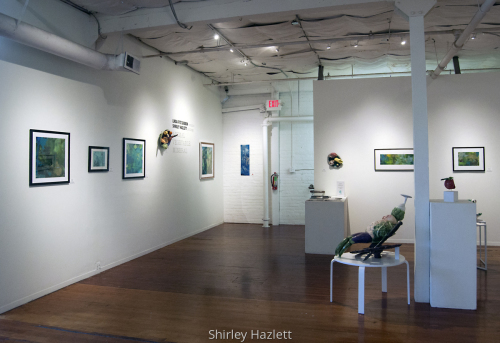 An invitational exhibition in Canada, curated by Sande Waters. 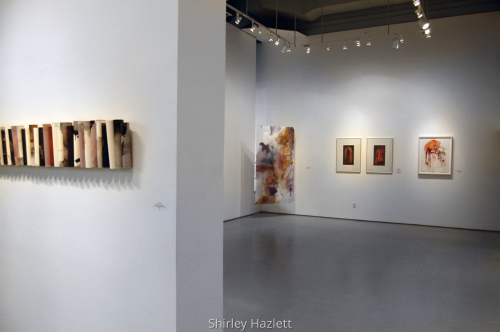 In this photo, two of my paintings on the left, a flowing roll painting and a suspended scroll. 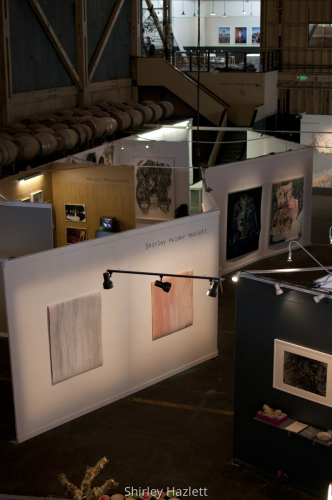 On the right, three paintings by Waters. 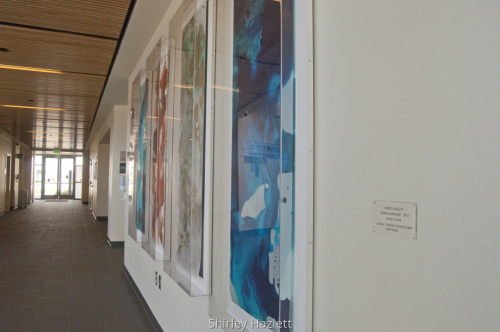 Gathering Strength is a four-panel installation at the UC Davis Comprehensive Cancer Center. 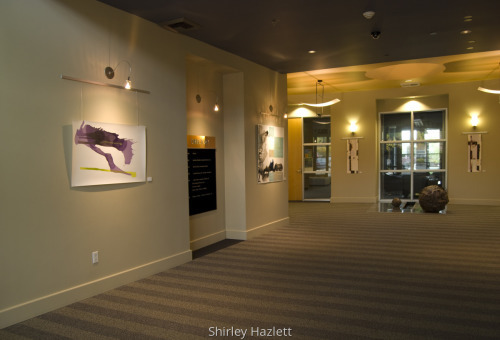 It is in the main lobby and is available for viewing when the Center is open. 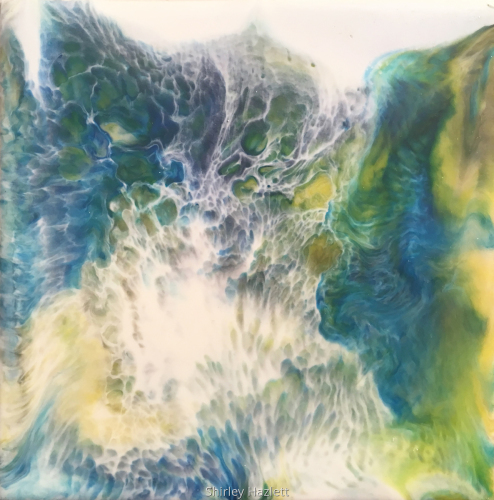 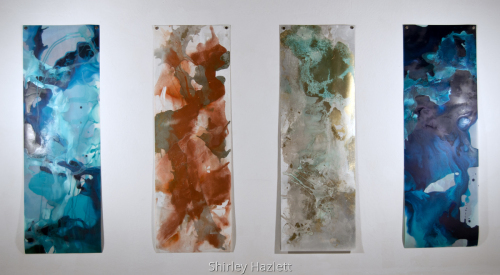 suspended on wall at Gallery 2237 in a solo exhibition by Shirley Hazlett. 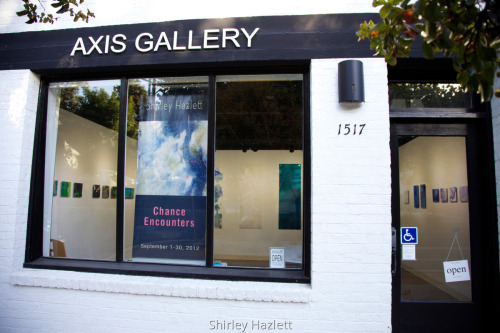 Chance Encounters, view of work installed at Axis Gallery. 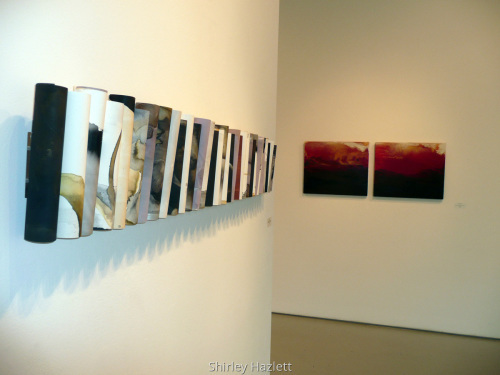 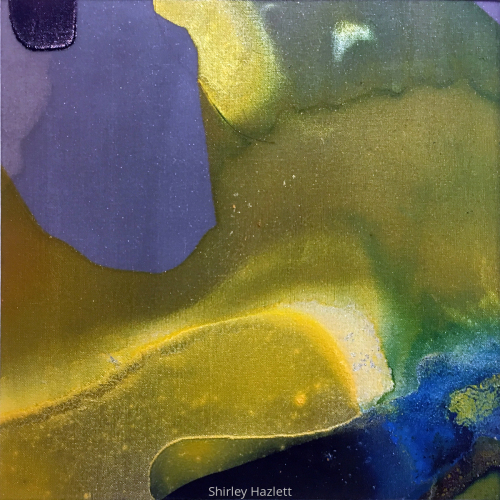 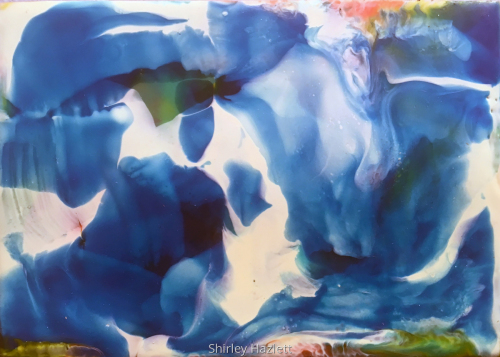 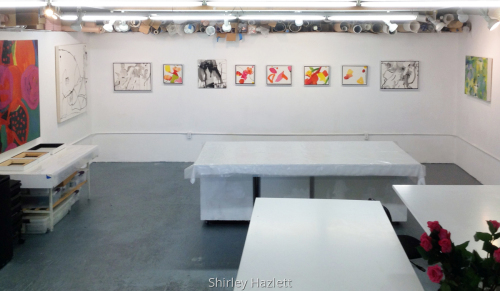 Solo exhibition of acrylic on silk paintings by Shirley Hazlett. 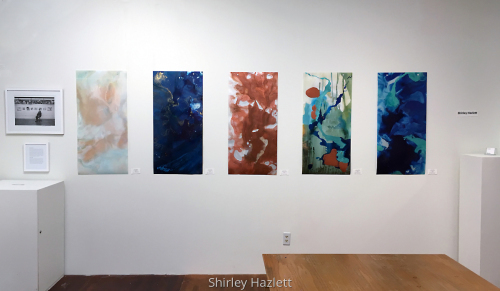 Solo exhibition of large scale watercolor wall paintings and sculpted paintings. 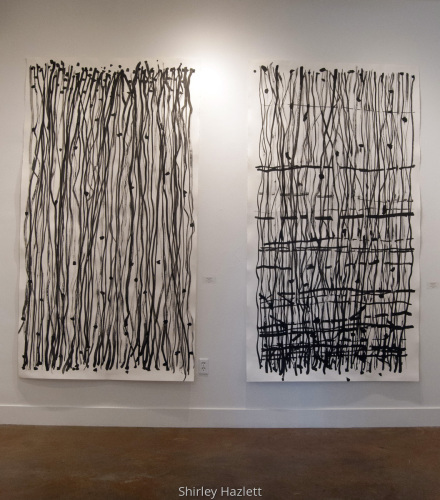 Two ink drawings, inspired by weaving, honoring the textile arts. 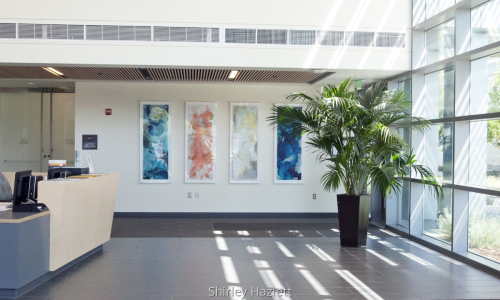 Gathering Strength is installed at the UC Davis Comprehensive Cancer Center in their main lobby. 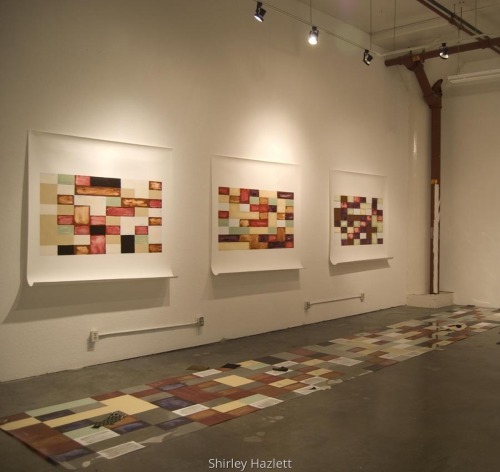 This public work in Sacramento is available to be seen daily. 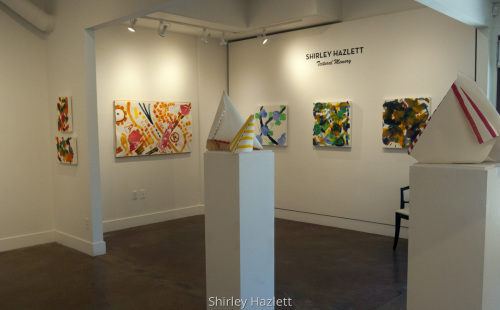 Solo exhibition at Pence Gallery. 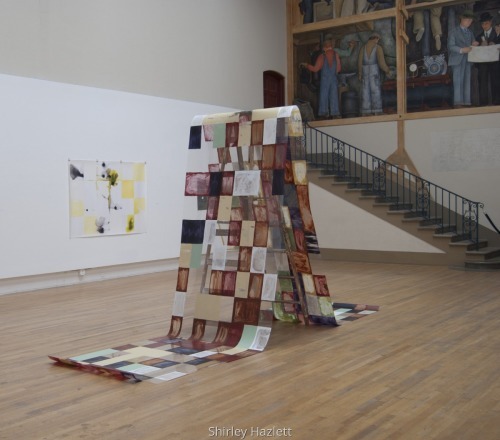 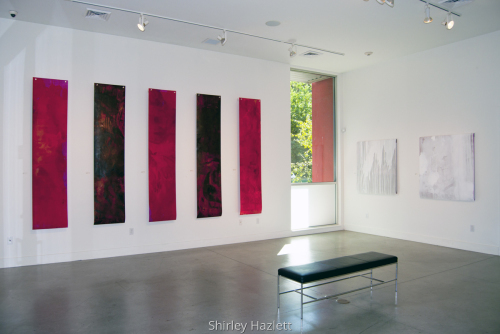 An Installation of 7 suspended scroll paintings, 5 red and 2 white, acrylic on silk, in this view.